Geneviève Janssens thought her path was carved at birth; she would manage her father’s vineyards in her homeland, the South of France. 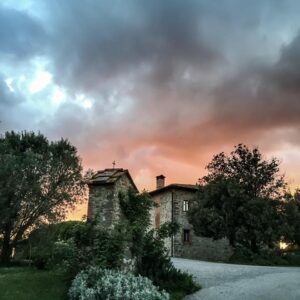 It was a path that Geneviève looked up to with her father’s philosophy that nothing mattered more in regards to wine than quality, even when times were tough, and that quality was mainly attained by the work placed into the vineyards. A few years after Geneviève’s graduation from the University of Bordeaux where she studied with the fathers of modern French enology, she did follow her intended path of managing her family’s vineyards, initally… but the wine world of Napa Valley would ultimately have different plans for her. 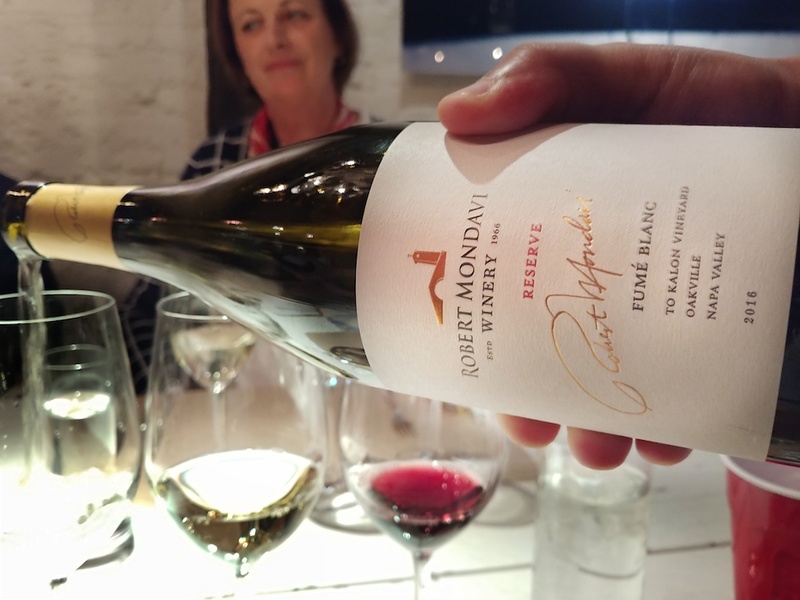 Back in November, I was simply enchanted by a lunch I spent with the legendary Robert Mondavi Winery Director of Winemaking, Geneviève Janssens – named Wine Enthusiast’s 2010 Winemaker of the Year as well as the recipient of many other prestigious honors. From the moment we locked eyes she was graciously approachable and she seemed more interested in making sure everyone had what they needed rather than talking about herself. I was fascinated to hear how a young small town French woman ended up being the Director of one of the most illustrious wineries in the world, and so, I asked Geneviève to tell me her story and she obliged with a smile that warmed the heart. After Geneviève graduated from university she immediately started working with her father’s vineyards, and continued that for a few years until her father invited her on a Napa Valley trip with himself and other French wine producers. 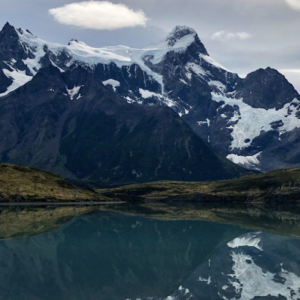 As fate would have it, their trip was arranged by the charming Margrit Kellenberger, a Swiss-born American who found her home in Napa and would one day become Margrit Mondavi. Margrit, who was the Vice President of Cultural Affairs for the Robert Mondavi Winery, convinced Geneviève to stay for a year at the winery as a lab enologist. Geneviève thought it would be a great opportunity to not only live abroad before she took on too many responsibilities, but she would be able to bring back knowledge of cutting edge technology that California was developing at the time. She ended up never leaving and found herself becoming the Director of Production at Opus One in 1989 and finally the Director of Robert Mondavi in 1997 where she led the project to build a new winery for their exemplary To Kalon vineyard, an estate that Geneviève calls the “most extraordinary vineyards on earth” and with its renowned reputation I think many would agree. I can only imagine what that first encounter was like between a young Geneviève and Margrit Mondavi. I had the pleasure of meeting Margrit at a gala dinner taking place at the Robert Mondavi Winery many years ago and by good fortune happened to be seated at the same table as she was. She was around 85 years old at the time so she had problems hearing and our table was very large, so I walked up to her and kneeled down to introduce myself so she could hear me. 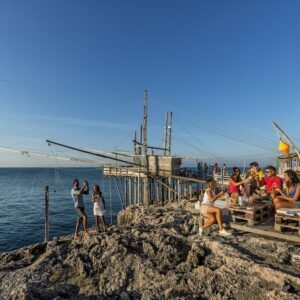 She immediately placed her hand on my cheek and said the most beautiful things about me that made me soar out of that dinner with a big grin on my face, and from what I have heard she was always that way. 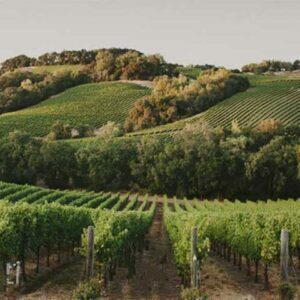 Perhaps Margrit saw something in Geneviève that she herself didn’t initially recognize; and that belief was continued with Robert Mondavi who was like a spiritual father, who had a deep love for the land and saw how Geneviève connected with it. Geneviève told me that she was still amazed by the idea that she was able to work with Baron Philippe de Rothschild (Château Mouton Rothschild) as well as Robert Mondavi with Opus One. 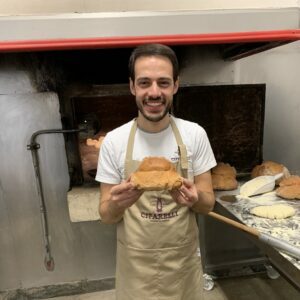 In France, she would have never been given the opportunity to become the Director of such estates as she was not born into a family that had connections. But in Napa with Mondavi, her worth was recognized and in many ways she found the home where she could find her potential based on her talent and hard work and not her pedigree. 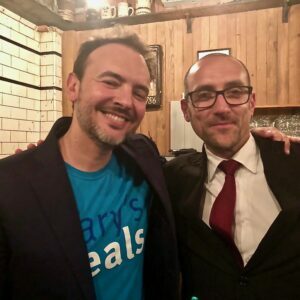 As I walked out of my lunch with Geneviève I felt like in a way I had gone home, as it is always grounding and inspiring to be around people who are all about the work and not about the competition… in a way, home is where you can be yourself and feel all the better for visiting. 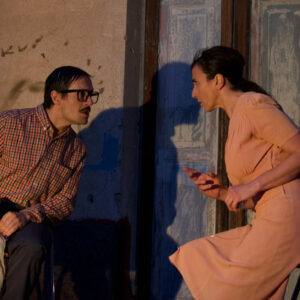 Maybe that is part of the reason why Geneviève never left Napa, because she realized she was home. 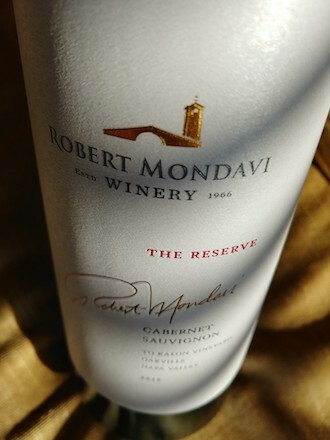 ***The Robert Mondavi Private Selection (RMPS) wines including the RMPS North Coast Sauvignon Blanc are entirely separate from the estate/Robert Mondavi Winery wines and Genevieve is not involved in making them. 2017 Robert Mondavi Private Selection, Sauvignon Blanc, North Coast, California ($12.99): 100% Sauvignon Blanc. 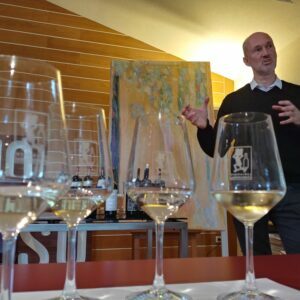 There are many non-Sauvignon Blanc wine drinkers who have been turned into loving the grape by trying the ones coming from Northern California because they have the refreshing acidity but with more fruit and less green notes than other versions. 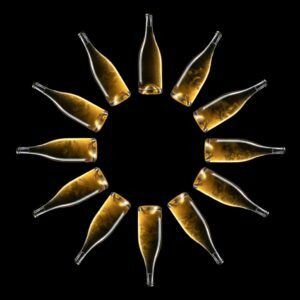 This wine is crisp with lemon zest and white peach that can be drunk alone or would be wonderful with lighter dishes. 2017 Robert Mondavi Winery, Pinot Noir, Carneros, California ($28): 100% Pinot Noir. Carneros is one of the ideal homes for Pinot Noir as the fog that rolls in creates a cooler climate and the low-nutrient soils make sure that high quality Pinot Noir can be achieved. Juicy red cherries with a hint of cinnamon spice and tilled soil that finishes with silky tannins and bright acidity. 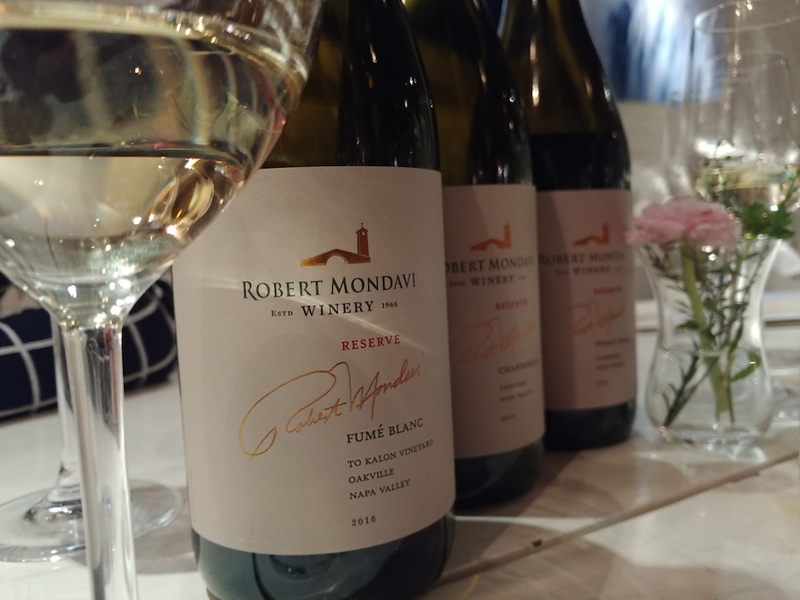 2016 Robert Mondavi Winery Reserve Fumé Blanc, “To Kalon Vineyard”, Oakville District, Napa Valley, California ($51.99): Majority of 93% Sauvignon Blanc with 7% Sémillon. 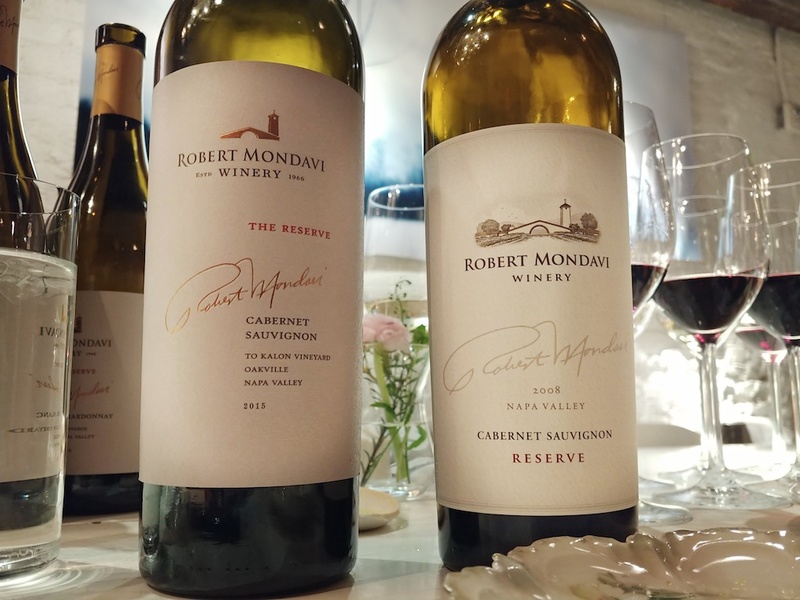 The To Kalon Vineyard has been considered one of the best in Napa Valley for decades with the legendary Robert Mondavi making it his home base from where he would show the world the greatness of Napa wines. Also, it was Robert Mondavi who brought the idea of Fumé Blanc to Napa, combining the elegance of France with the generosity of California. This Reserve Sauvignon Blanc wine with 38% of the wine being fermented in new French oak (as well as cement egg-shaped vessels used for further textural complexity) comes from the thrillingly outstanding 2016. 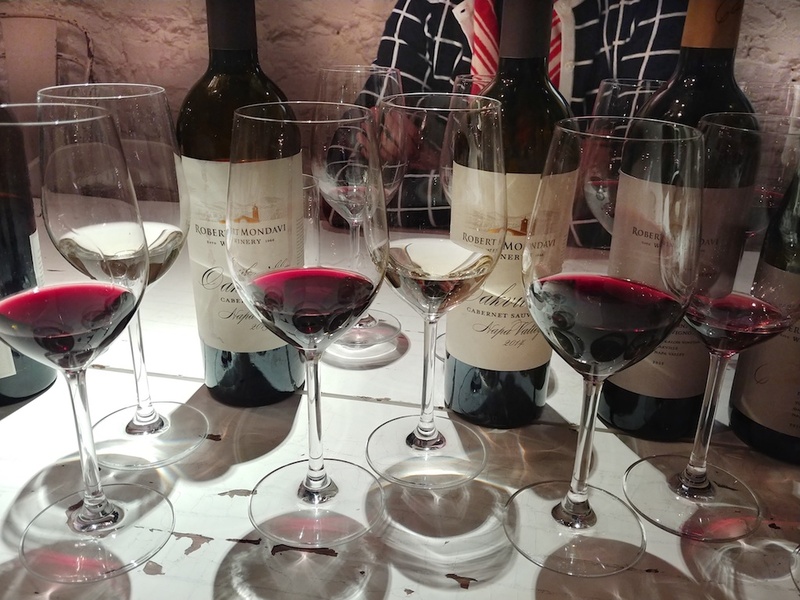 The ‘16 vintage was one of the few in recent history that had as perfect of a growing season as it gets for Napa – most producers were allowed to harvest when they wanted. This Fumé Blanc displays the richness and complexity with higher amount of acidity that the vintage is known for… nectarines and tropical mango flavors with a creamy body that finished with lemon meringue and crumbly rock minerality. 2015 Robert Mondavi Winery Cabernet Franc, “To Kalon Vineyard”, Oakville District, Napa Valley, California ($65): Majority 80% Cabernet Franc with 20% Cabernet Sauvignon. This is the second vintage of their To Kalon Cabernet Franc and it was exciting to try it as I am a lover of the versatility of the grape. A pretty floral nose of violets with raspberries and a hint of tobacco leaf. Linear body with fine tannins creating a delicate lace that caressed the palate. 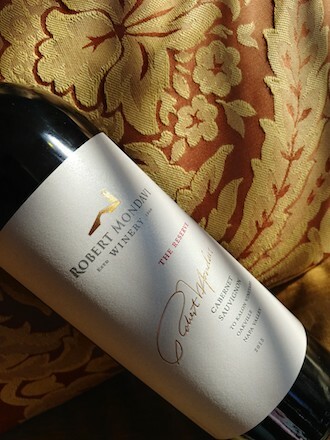 2015 was a warmer vintage for Napa yet Mondavi shows their commitment to elegance with this beautifully balanced wine. 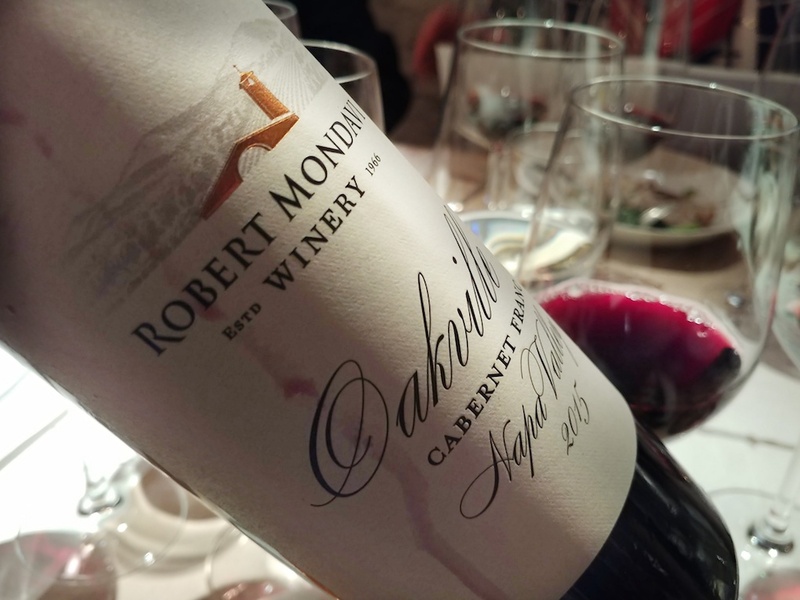 2015 Robert Mondavi Winery Reserve Cabernet Sauvignon, “To Kalon Vineyard”, Oakville District, Napa Valley, California ($174.99): Majority 91% Cabernet Sauvignon with 7% Cabernet Franc and 2% Petit Verdot. 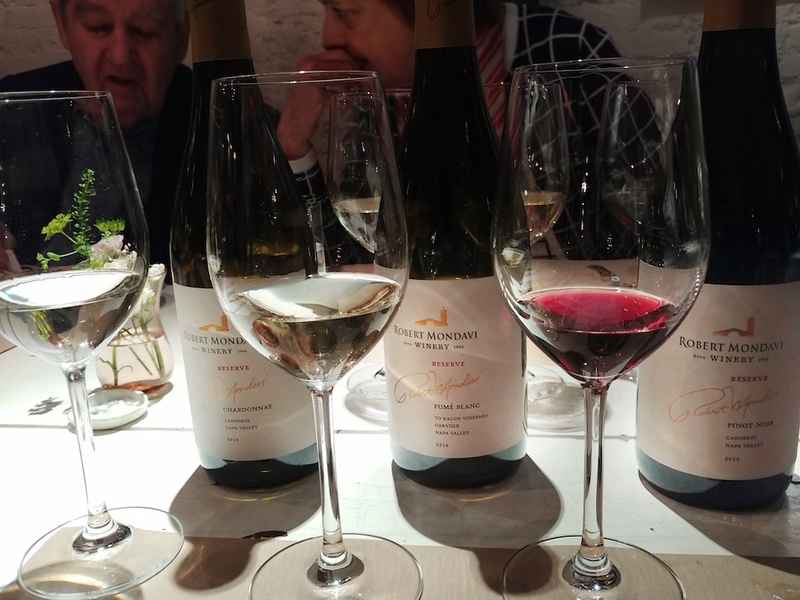 An iconic wine – I was privileged to be able to compare the 2015 to the 2008 vintage during my lunch with Geneviève. Despite To Kalon being known as a historic vineyard, the Mondavi winery didn’t place the vineyard on the label until 2011 hence why you will not see it on earlier bottlings. Again, the Mondavi style of being true to generosity delivered with overall finesse is a perfect match for the riper 2015 vintage. 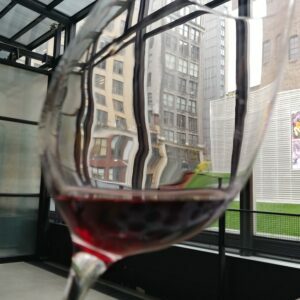 This ‘15 To Kalon Cab was multi-textural with a plush mid-palate balanced by fine structure that had deep, dark fruit with layers of toasted nuts, fresh sage and an intoxicating smoky broken earth aroma – true power and elegance that was expressive throughout the long finish. The cooler 2008 vintage, that was overshadowed by the blockbuster 2007, was showing very well with juicy, sweet blackberry fruit that was enhanced by notes of cigar box, and despite seeming structured and linear on the entry of the palate, it was quite generous on the finish. I am looking forward to revisiting both wines again.